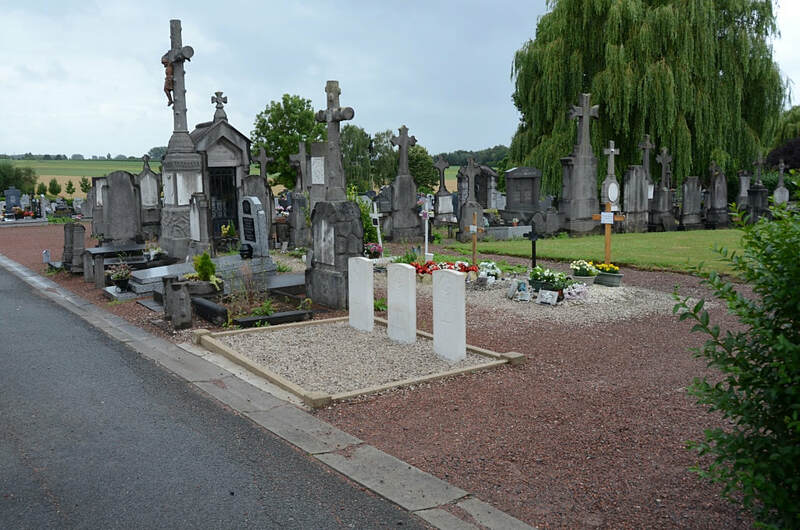 Roncq is a village and commune 13 kilometres north of Lille. Blanc-Four is a hamlet in the commune 2 kilometres south of the village. 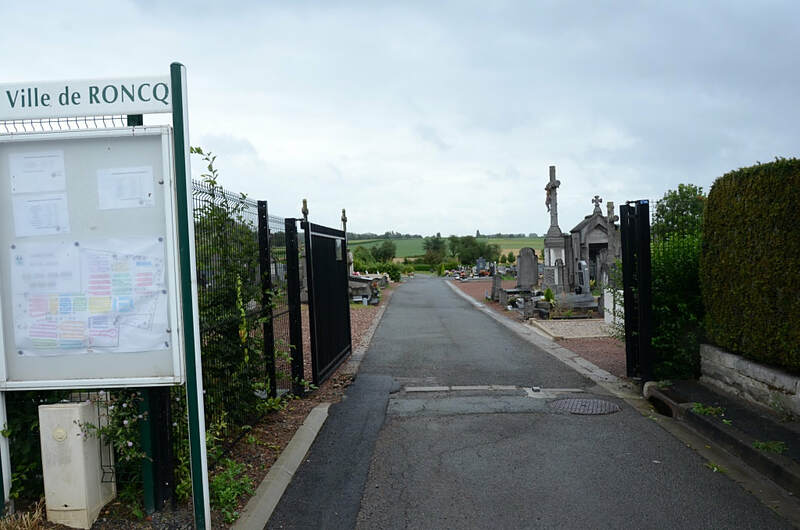 The Cemetery is on the Lille side of the hamlet. 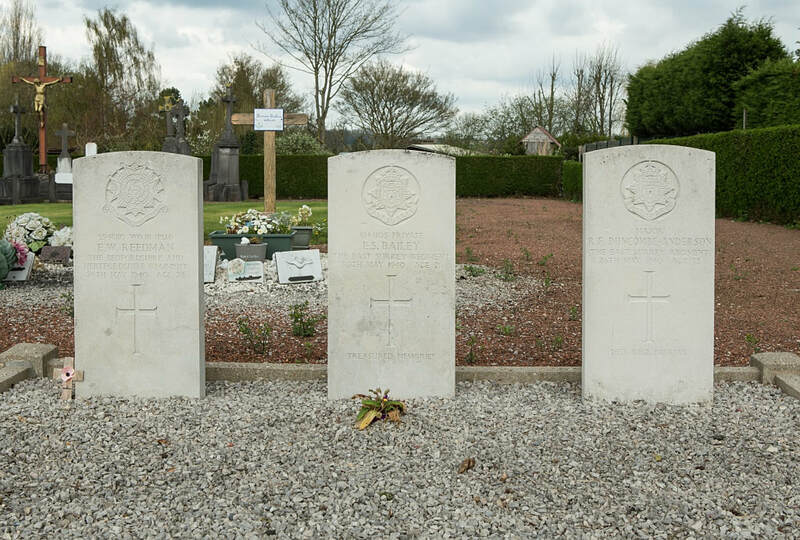 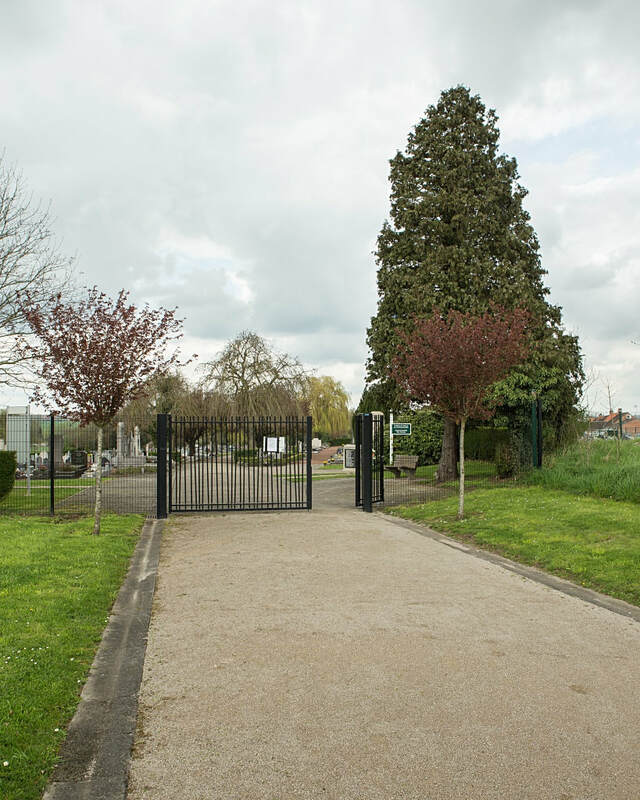 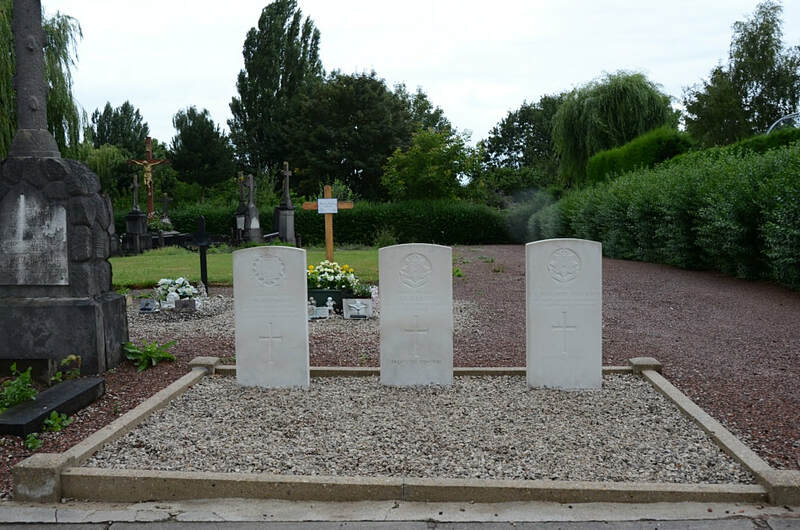 In the centre, opposite to the shelter building on the main path, are the graves of three soldiers from the United Kingdom. 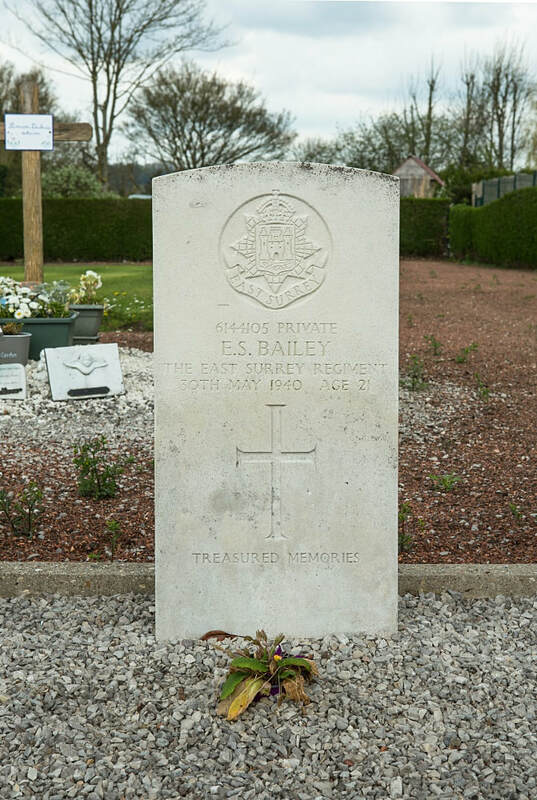 6144105 Private Edward Scott Bailey, 1/6th Bn. 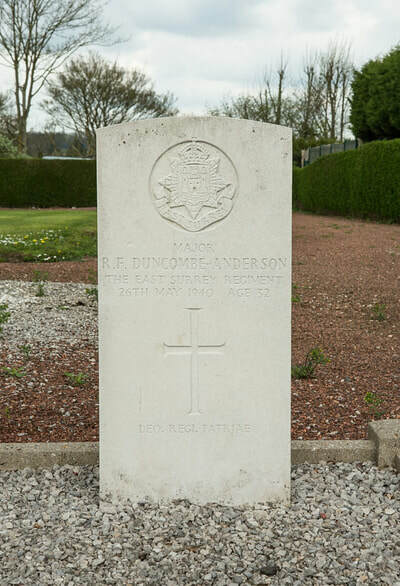 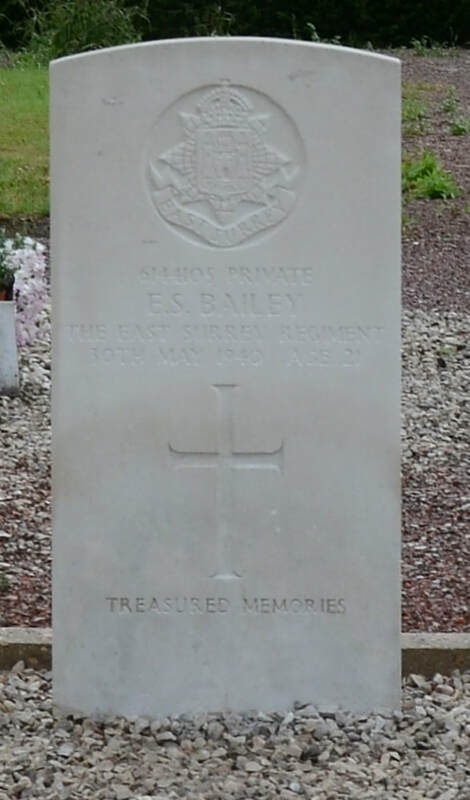 East Surrey Regiment, died between 25th May 1940 and 26th May 1940, aged 21. Son of Walter E. Bailey, and of Jean Bailey, of Bootle, Lancashire. 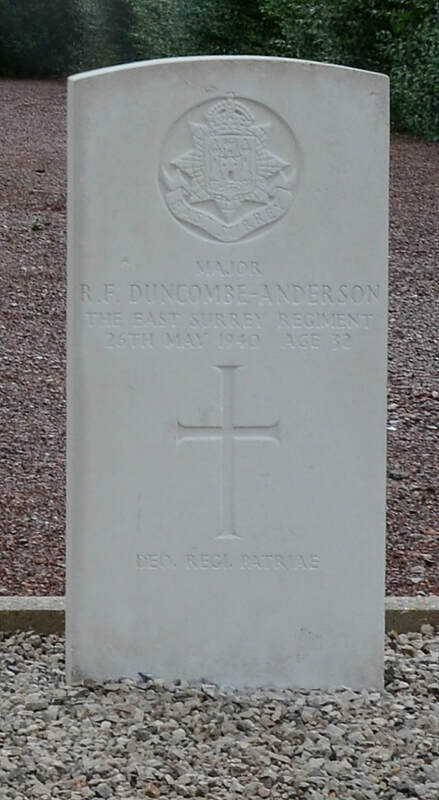 39407 Major Roland Frederick Duncombe-Anderson, 1/6th Bn. East Surrey Regiment, died 26th May 1940, aged 32. Son of Capt. Wilfred Duncombe-Anderson and Margaret Duncombe Anderson; husband of Elizabeth Frances Duncombe-Anderson, of Orchesten, Salisbury. 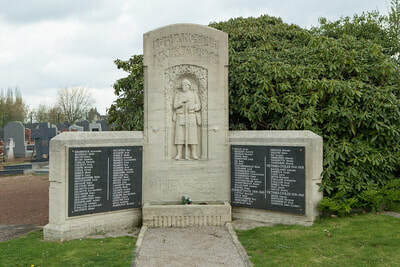 5948110 Warrant Officer Class III (P.S.M.) 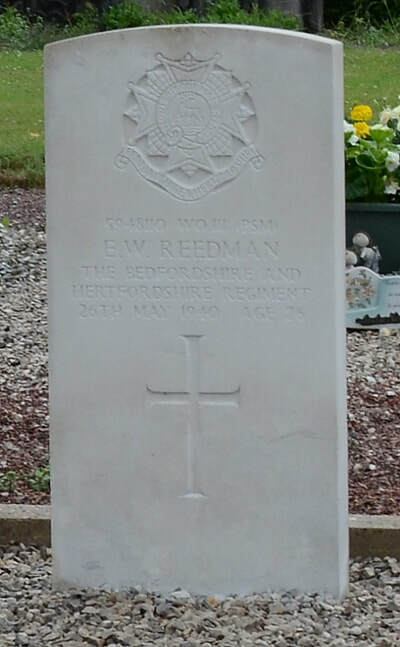 Ernest William Reedman, 2nd Bn. 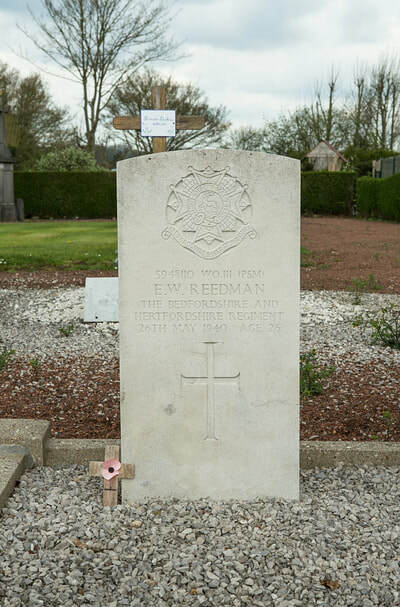 Bedfordshire and Hertfordshire Regiment, died 26th May 1940, aged 26.